I’ve been a slacker. Well, as far as posting is concerned. Life has been jam packed with activities. I hate to be lazy, but here is a mostly pictorial update of what has been going on lately. We have been working in the garden. If you are new here, the yard is a bit large for us. We have been late to start this season and have spent a lot of time preparing beds and weeding the past few weeks (with help from friends thankfully!). 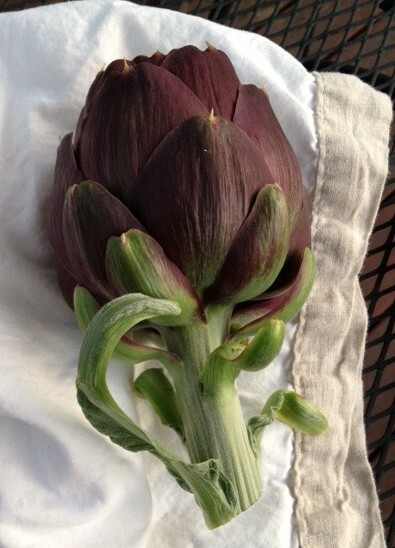 While we have been working ourselves exhausted, this lovely artichoke decided to present itself in all of its purple, organic glory. I will be eating it tonight. The yard is starting to really look good. 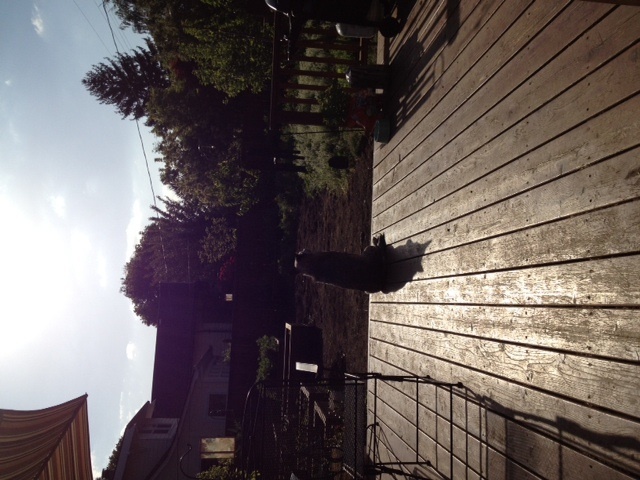 Emma enjoys the late afternoon sun on the back deck and appreciates that she no longer has to poop in scratchy weeds. This picture is from last week. The yard looks even better now and there are tons of flowers. 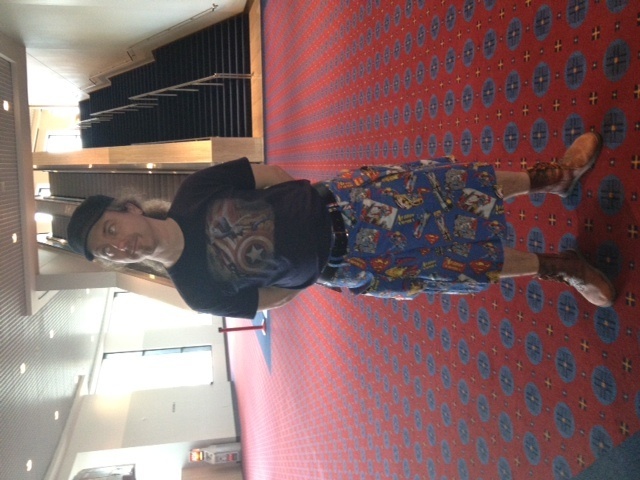 We went to Stumptown Comic Fest 2012 where my fearless partner wore the Superman Kilt I made him for his birthday last year (also his Grover as Captain America Shirt). I think there might be more pictures of him from this event out there on the web. He was a bit of an attraction. 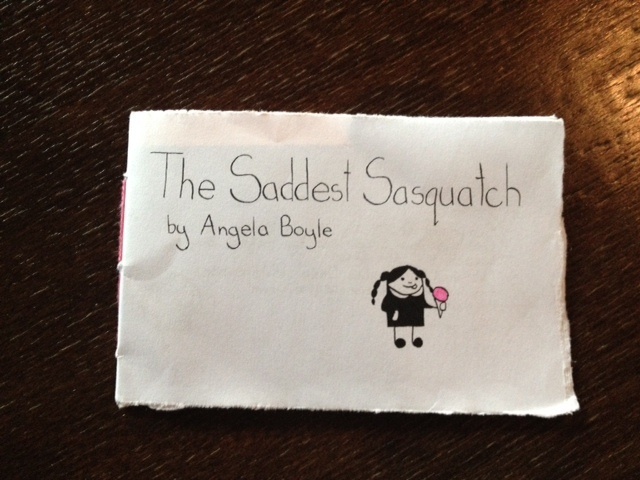 I bought a tiny comic for $ 1.00. The subject seemed appropriate considering we are in the PNW, but I really bought this because of the hand sewn binding. The staple method was rampant at this event and it hurt my soul. 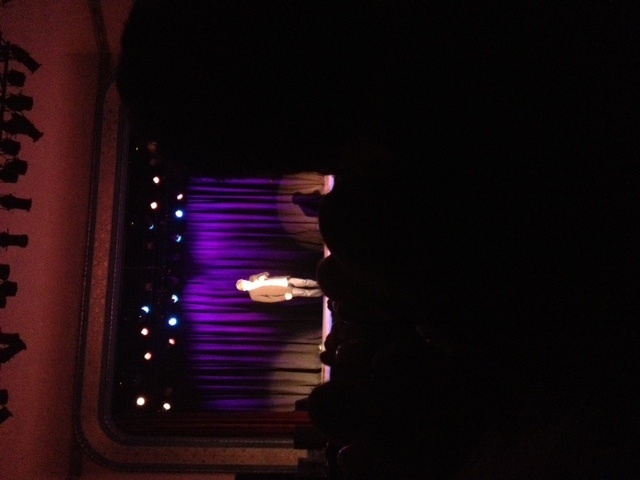 We saw @CraigyFerg at the Aladdin Theater and he was funny. He is a lot less G-rated live (just a comment not a judgement – we like him either way). 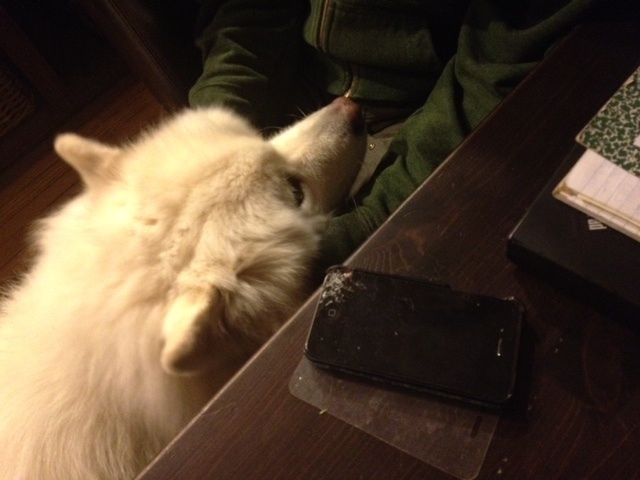 That same night our little destroyer ate Mike’s phone (reason #997 for buying the Apple Care Plus Plan). 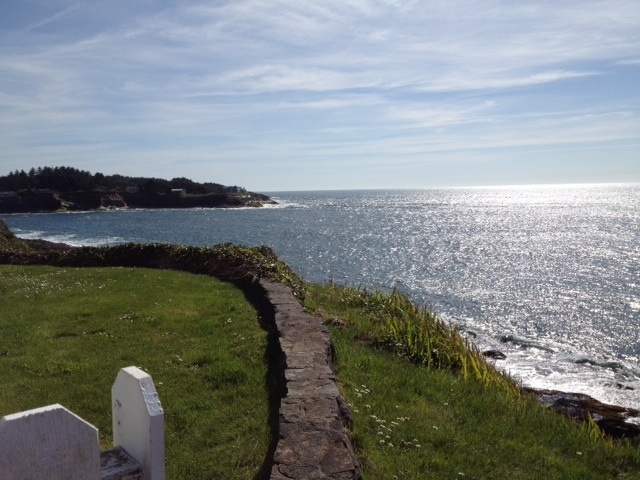 I visited the Oregon Coast (Depot Bay) with a friend on a sunny day. 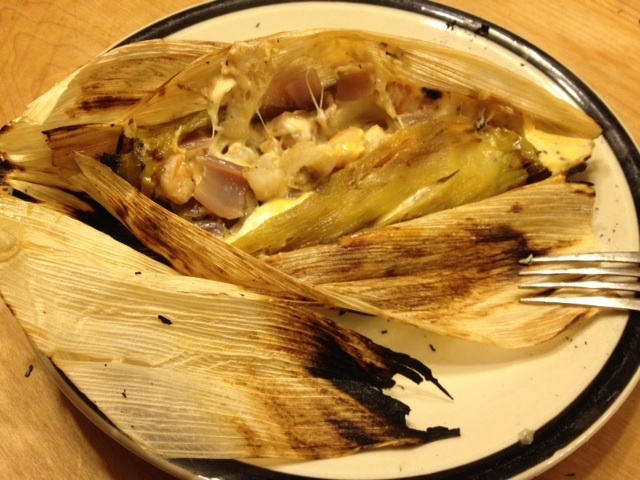 I made delicious Grilled Shrimp Chile Rellenos. 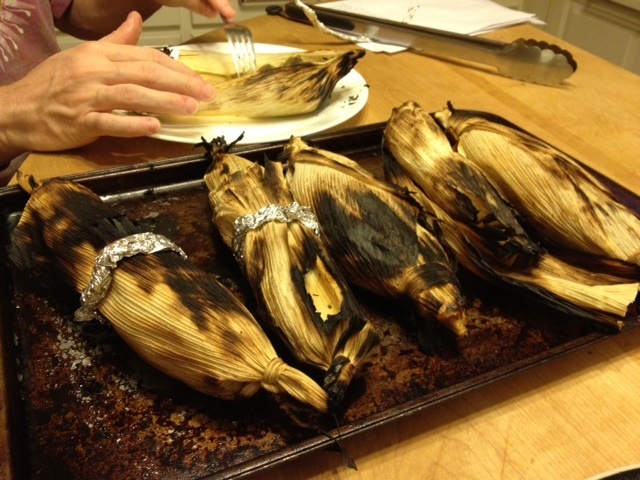 It was a Rick Bayless recipe that I modified. 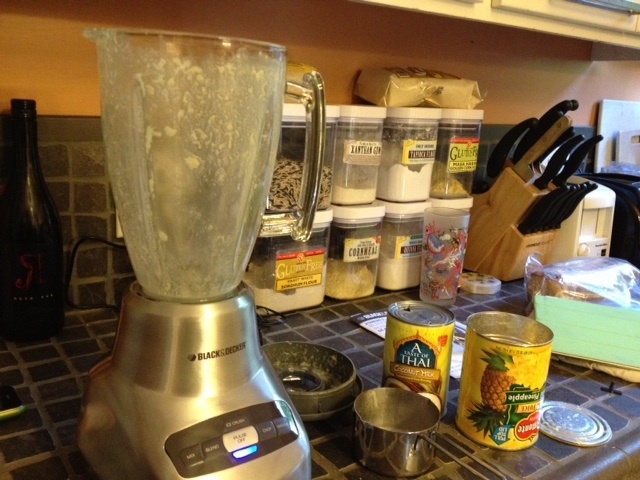 I added artichoke hearts to the recipe, and for Mike’s instead of cheese I used nutritional yeast. Mine had full cheese. Delicious if a bit ambitious on a Friday night. They took two hours to make. WORTH IT! 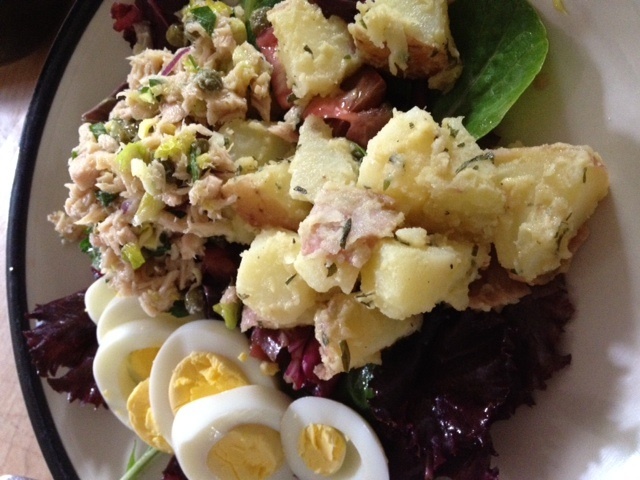 Another labor of love is this Salad Nicoise that I made a couple of weekends ago. Between boiling eggs, boiling potatoes, making three dressings – one for tuna, one for potatoes, one for salad – I am always overwhelmed with using so many dishes, bowls, pots and pans. Again, WORTH IT! 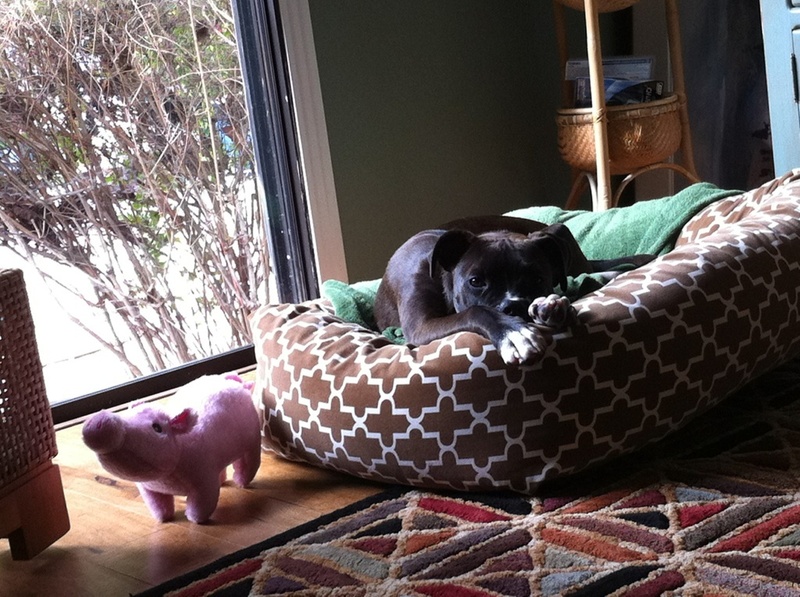 My sister’s doggie, Abbey, got big. 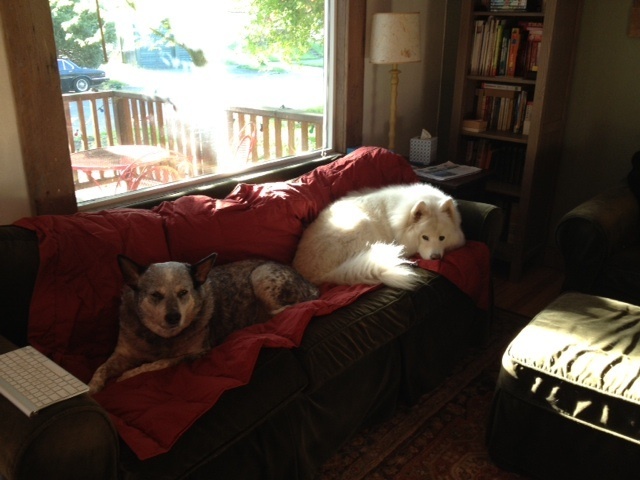 Our doggies are still adorable (also, ‘Rina got fixed and is recovering very well indeed). This entry was posted in Food, Opus, The Daily.